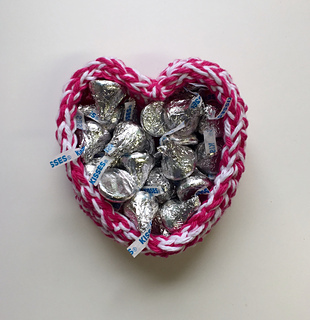 This crochet pattern creates an adorable medium size heart basket using a double strand of cotton yarn. 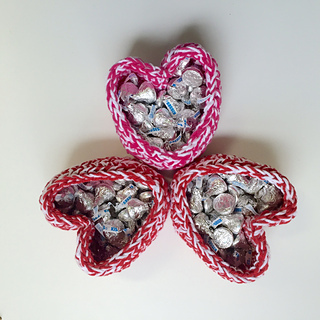 The basket measures 5” across at its widest point and 3” tall. 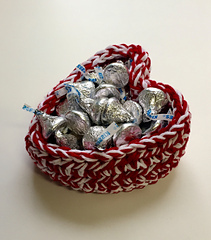 These baskets would make a lovely Valentine’s Day gift - for yourself or someone you love. 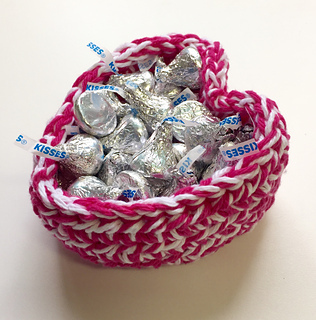 The basket holds about 3/4ths of a bag of Hershey Kisses. 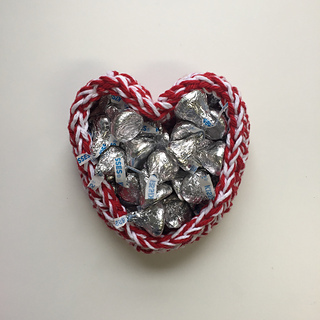 Perfect for a teacher’s or co-worker’s desk.